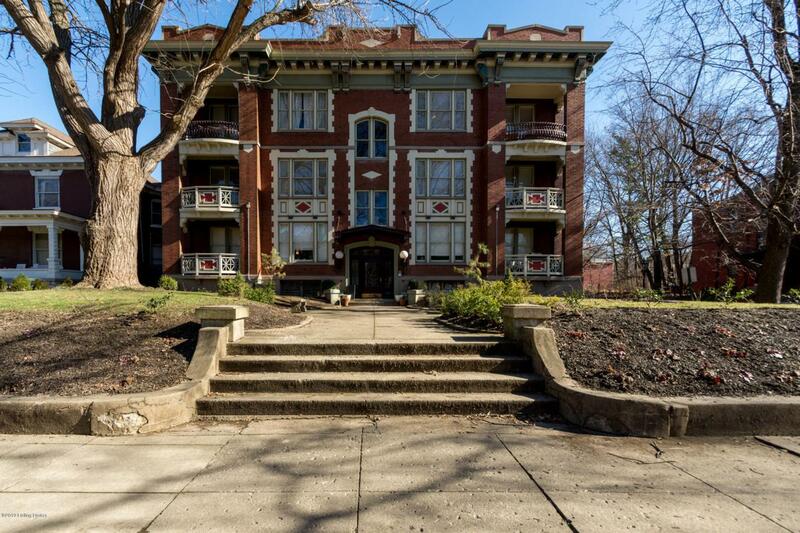 Beautiful 2 Bedroom 2 Full Bathroom condo in Historic Old Louisville building, The Alexander. Located just 2 blocks from UofL! 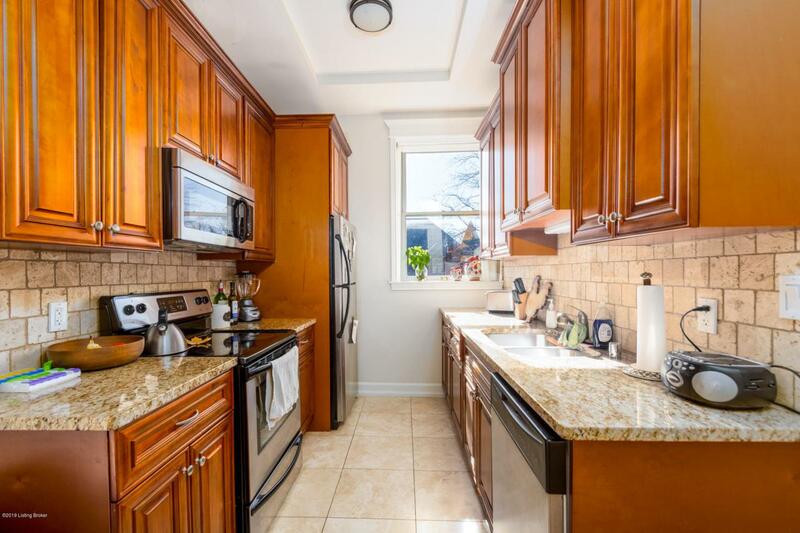 This 3rd floor, front facing unit offers a spacious living room, dining room, updated kitchen, large master bedroom, spacious second bedroom, 2 FULL bathrooms, in-unit stackable washer dryer and balcony. The kitchen is furnished with stainless steel appliances, granite countertops, tile backsplash and lots of cabinets for storage. The master bedroom is complete with ensuite bathroom and large closet. 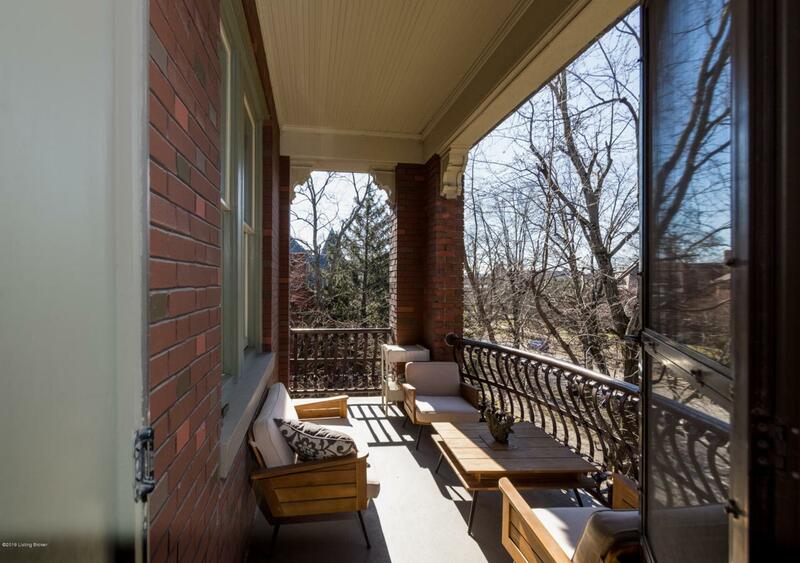 Entire unit has all modern conveniences with a touch of old-world character you would expect to find. 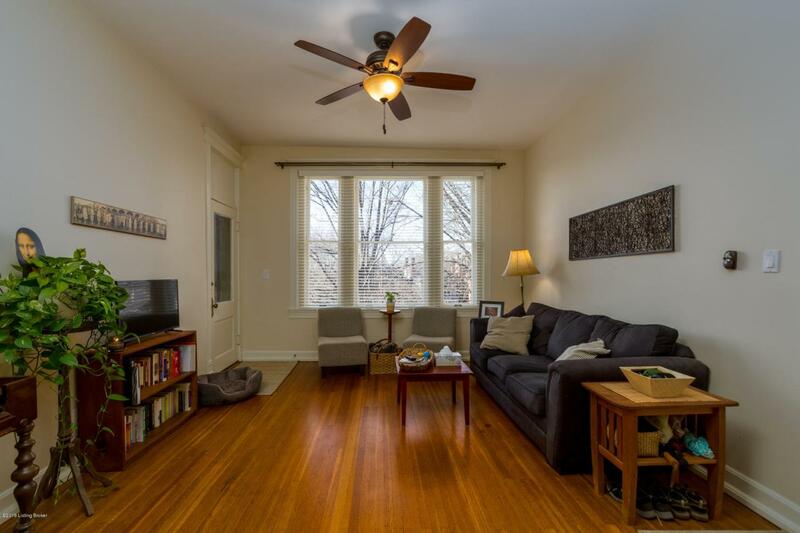 Perfect location for UofL student or faculty member looking to be walking distance to the university. Assigned storage unit located in basement.Monthly maintenance includes building WiFi, water, and trash. Pet friendly. Currently rented with lease through May 2019. This turn-key unit has everything. Seller is providing a one-year home warranty. Schedule your showing today!